Are you ready for a social media crisis? Home / social business / Are you ready for a social media crisis? 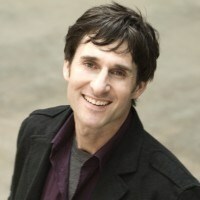 I chaired a session at the European Customer Experience World conference in London recently with Dave Carroll – of United Breaks Guitars fame. During the 2 hour session, one of the pieces of advice that seemed to be well received by the audience was to ensure you include social media in your crisis management and disaster recovery plan. The fact that most of the room was scribbling down this piece of advice led me to believe that no-one had actually factored this into their plans. The advice I gave and Dave echoed was that it is not a case of if a social media crisis will hit you, rather when. If you are prepared for it, then you are more likely to be able to manage the impacts. Think about it – we are used to having regular fire drills, and the annoying weekly fire alarm test that interrupts meetings and conference calls – but when something bad happens, you need to be prepared. I bet Nestle never expected to have a firestorm erupt around them back in 2010, and Eurostar were ill prepared for 5 trains stuck in the channel tunnel in December 2009. Vodafone UK were caught napping on social media when someone stole equipment from a data centre in 2011, but had they developed a social media crisis plan then they may have handled it much better. When I was helping a large UK retailer launch their social media presence in 2010, we made sure the team had simulated a crisis on social media. We used Yammer (a corporate version of Twitter) to simulate something bad happening and ensuring those responsible knew how best to respond. Yammer is an excellent tool for this as it is completely private. You can sign up for free with your corporate email address, and the functionality is very similar to Twitter. Yammer is excellent for crisis training, as no-one will see the (simulated) tweets – as it is a private and internal network. During the launch training, we had one team in an adjacent room sending nasty and nice tweets to the people being trained next door. The feedback was it was a great way to get used to what might happen on social networks before it happens for real. Are you ready for your social media crisis? Think also of incorporating social media into your disaster recovery plan. Twitter may be the most effective way to get messages out in an emergency if your whole network is knocked out of action. Who has access to the corporate Twitter account and who else knows the password as a backup? 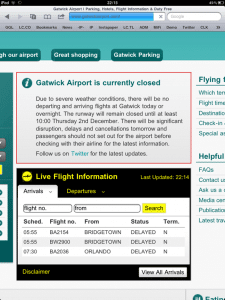 In an emergency can you quickly get a message on home page of your website to say “follow @ouraccount for the latest updates” as Gatwick Airport did during the 2010 snowstorms across the UK. Is the person running your social media presence part of the communications team, and if not can you quickly bring them into the loop when something bad happens? They may be your only real-time link to your customers and stakeholders while you stabilise the issue. As a company , you pay for insurance in case something bad happens. In the age of always on, you need to invest in social media insurance – by having a plan and testing it on a regular basis. haven’t thought that one.. your post made me think about it.. preparedness and prevention must go hand in hand… nice article you have here..